ACI Apartments is pleased to announce the recent sale of 4 units in the San Diego neighborhood of Golden Hill. The 2,682 square foot property situated on an 8,479 square foot lot at 2572-76 Broadway Street, was sold by Alik V. Perakh for $1,270,000. The seller was represented by Ricardo Lopez of ACI. The buyer, Thatch Prop. LLC, was self-represented on this transaction. The unit mix of the property includes one 2-bedroom 1.5-bathroom townhome, one 2-bedroom 1-bathroom unit, one 1-bedroom 1-bathroom unit, and one unpermitted studio. Parking is offered includes one Double Car Garage, two single car garages and one off-street space. The rear Duplex was built in 2008, with the front duplex being built in 1949 remodeled in 2006. 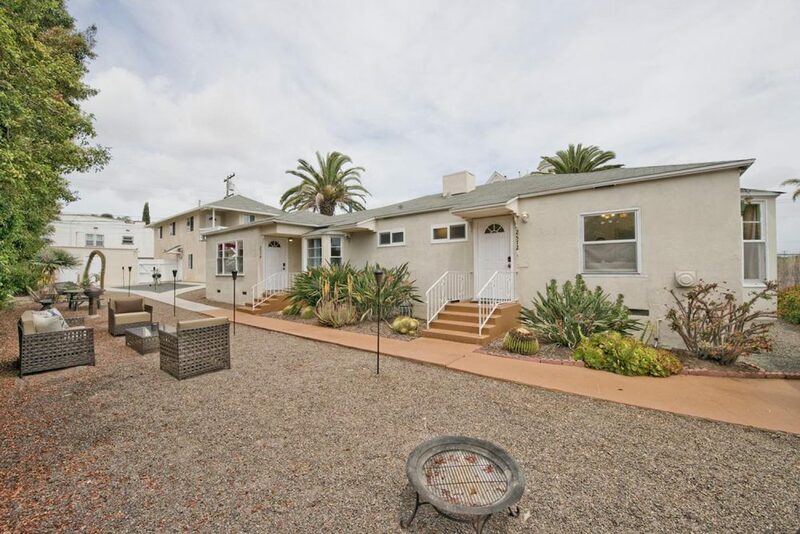 With quick freeway access and its central San Diego location, the property enjoys close proximity to downtown San Diego, area Beaches, the trendy areas of South Park and North Park, Balboa Park, and San Diego Zoo.